At Map Oil Tools, Inc. we are dedicated to supplying the upstream oil & gas industry with the highest quality standard service production and completion products. Since our company’s founding in 1989, we have grown to become the industry leader – providing innovative, reliable products to numerous loyal customers across the world. Outstanding customer service has always been one of the keys to our success. We strive to build long-term relationships with our customers – which also allows us to focus on meeting their ever-changing needs. We work very closely with each customer to develop more effective and efficient tools designed specifically for their specialized services. While other companies may claim to "meet or exceed customer expectations” – at Map Oil Tools that is truly our mission. We believe that close business relationships, exchanging technology and working toward design improvements will benefit our customers, our vendors and ourselves. One of the most important competitive advantages that we offer customers is our rigorous quality assurance system. Since 1996, Map Oil Tools has maintained an audited Quality Management System with measurable quality assurance criteria. When Map was awarded the prestigious API 11D1 Monogram license in 2013, it was one of only 7 facilities in North America, and the only mid-sized manufacturer, to hold the designation. That speaks volumes to the stringent quality standards that we uphold for all of our products. 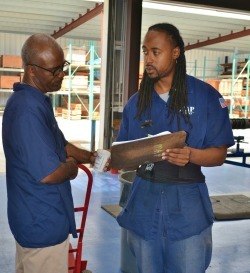 The fact is, at Map Oil Tools we have built a rock solid foundation of quality products and services over the years. This has allowed us to grow from a regional supplier for the Gulf of Mexico into the industry’s leading manufacturer – with a global supply chain that can meet the needs of the world’s largest service companies. We offer products that are second to none – and are focused on the design and manufacture of groundbreaking, efficient and effective tools. From our innovative JS®-3 Storm Packers to cement retainers, bridge plugs and much more – the quality and performance of our products is unsurpassed in the industry. In addition, we keep a very large inventory of standard tools on hand for the convenience of our customers. At Map Oil Tools we are also proud to employ a staff of professionals who are among the most knowledgeable and experienced in the industry. Our deep knowledge of all Map Oil Tools products – combined with a thorough understanding of each customer’s needs – allows us to provide a level of service that other companies simply cannot match. In addition, we are highly experienced at catering to the needs of both domestic and international customers – including handling all international customs requirements. 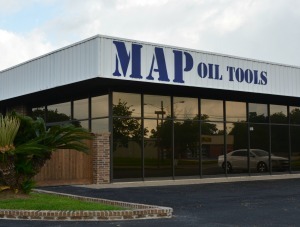 Regardless of what your needs may be, the team at Map Oil Tools is always here to help. We invite you to browse our online catalog of products – or please feel free to contact us should you need assistance.